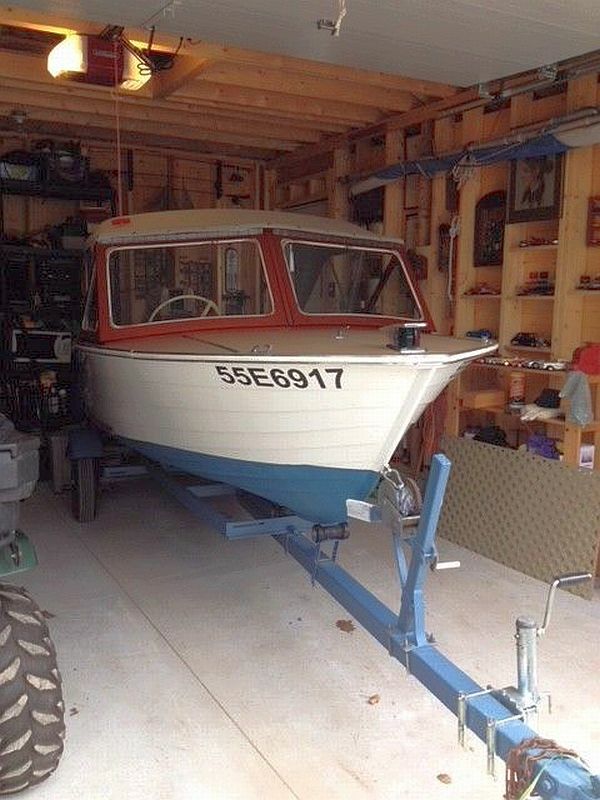 You are browsing the archive for Grew boat for sale. 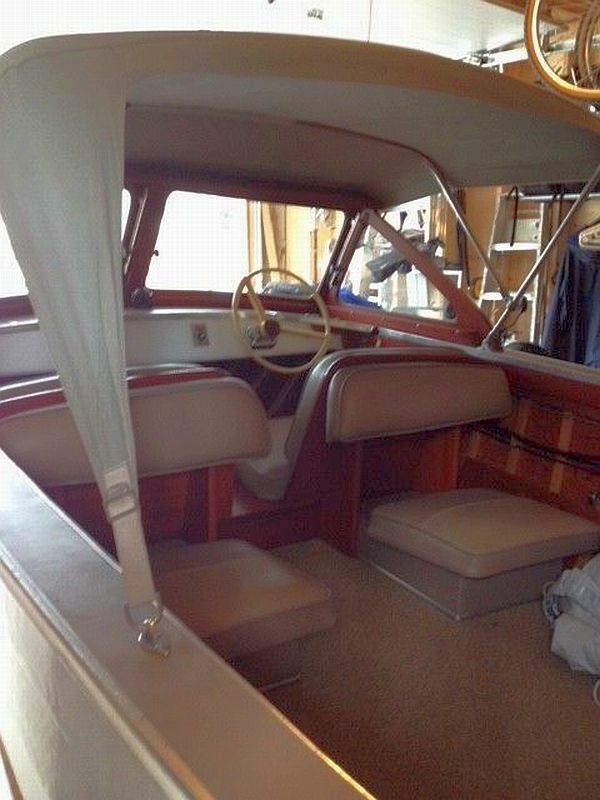 Grew runabout: 14 ft, 1959, complete with trailer. 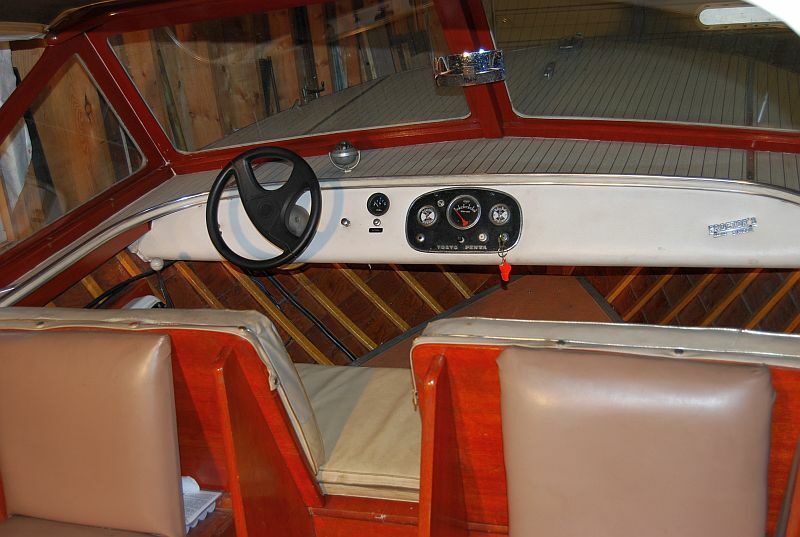 This 1959, fourteen foot wooden Grew cruiser, built in Penetang, ON, is powered by a 1960 Evinrude 40 HP electric-start outboard. 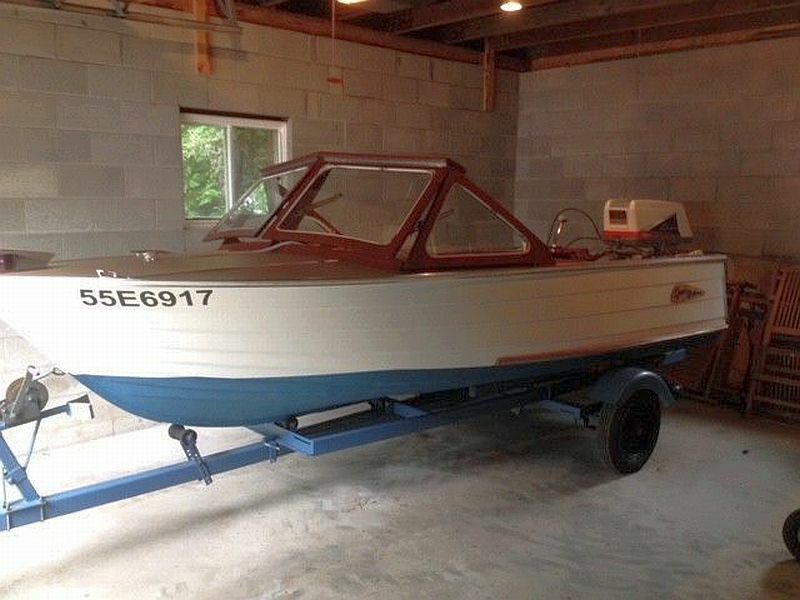 The boat, motor, and trailer are in good shape, and fully functional. 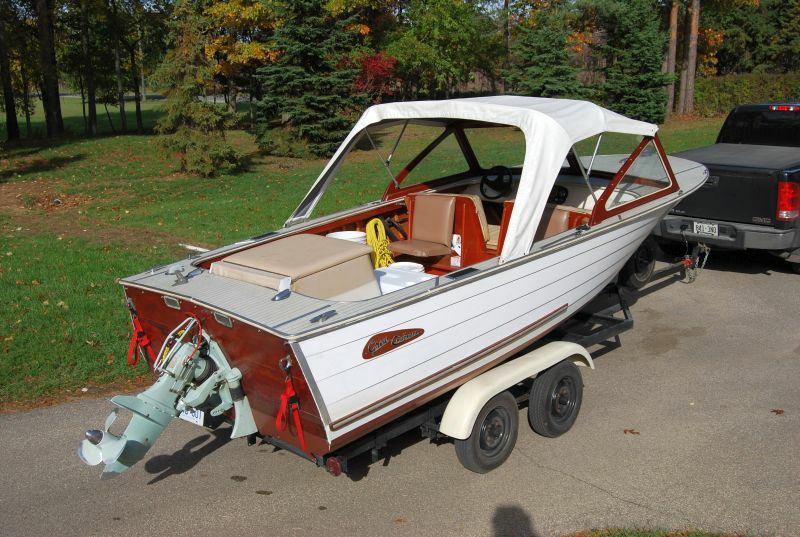 The Grew comes with fenders, dock lines, and a new nylon cover. 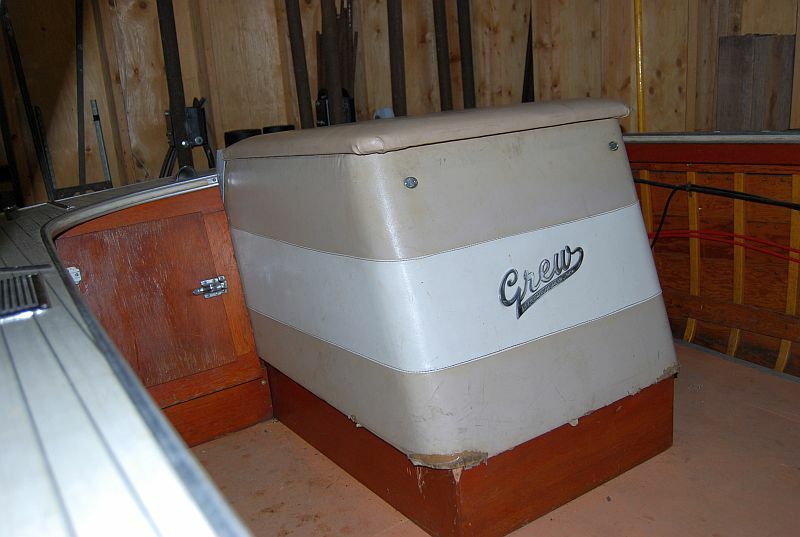 The boat is stored indoors, and has been daily trailer-launched by current owner. For further details and contact information, please click on the link. Ad number pb804. Additional photos below. 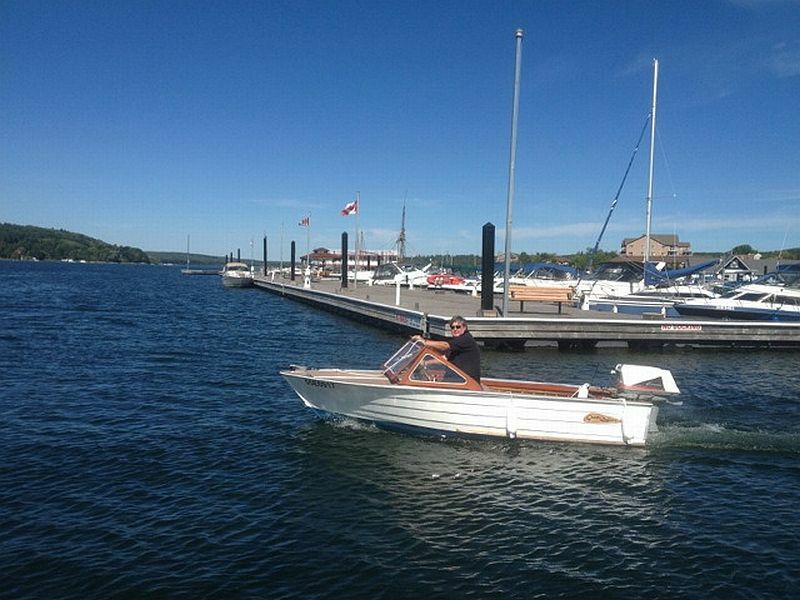 Price reduction on versatile Grew Cruiser. 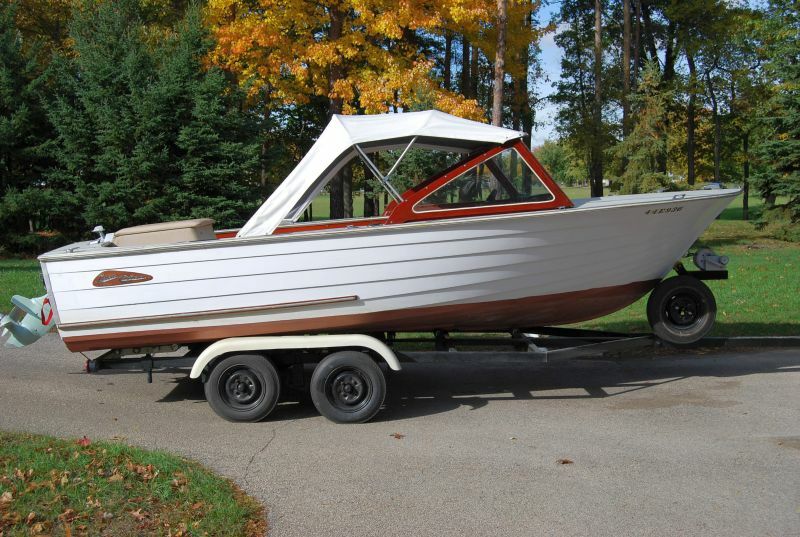 We have been instructed by the owner to reduce the price on this versatile Grew Cruiser. Originally priced at $7,900, the new price is $6,900. Please see the description, contact information and additional photos below. 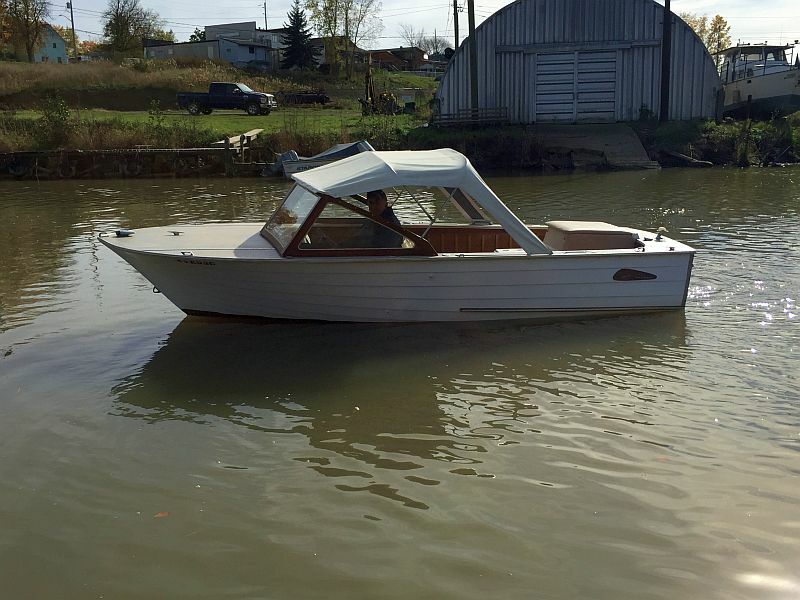 Tags: ACBS, antique boats for sale, classic boats for sale, Grew boat for sale, Muskoka boats for sale, Port Carling Boats, vintage boats for sale, woody boater, www.portcarlingboats.com Comments Off on Price reduction on versatile Grew Cruiser. 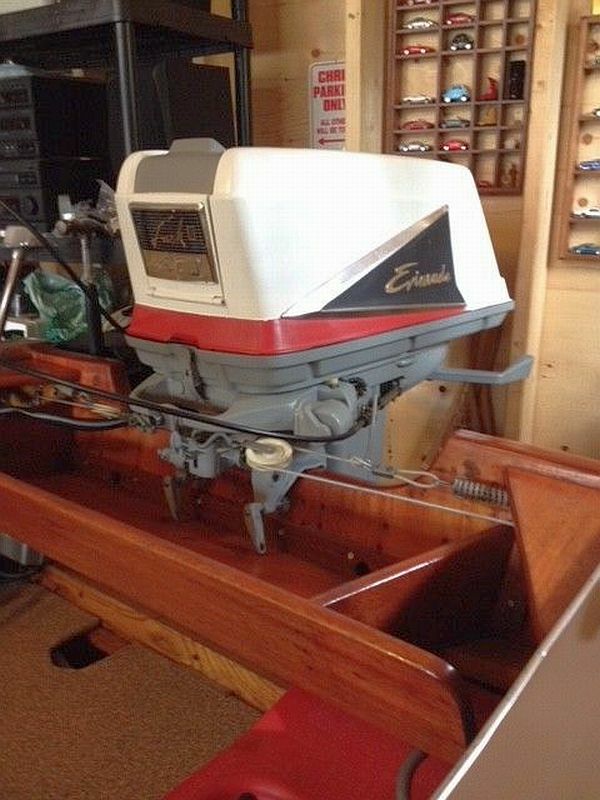 Current power is an Evinrude 40 HP 1960′s vintage. 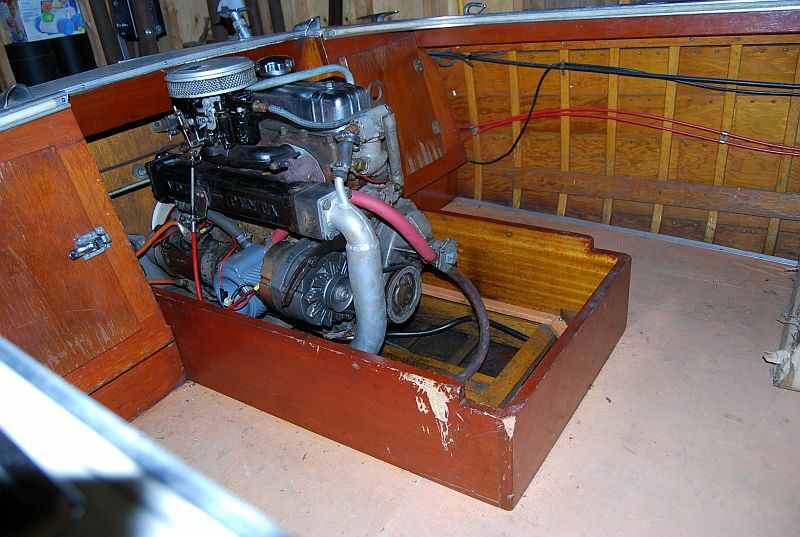 Completely rebuilt including pistons, rings, gaskets, coil packs, ignition, carb and lower unit. The sale also includes a single axle 1972 Durham trailer in good condition.